The strawberry season has come to an end; plants are now putting out runners. Monty Don shows us how to peg these runners to make new plants. 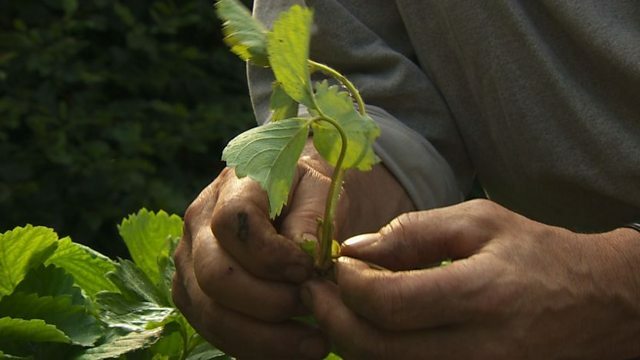 Strawberry plants should be replaced every three years to prevent a build-up of virus. The plot on which they are grown should be changed at the same time to prevent a build up of virus within the soil.